The long-anticipated Beijing-Shenyang High Speed Railway is now being built and should be reality within 5 years, according to reports from China Railway Corporation and the Xinhua News Agency. On 06 March 2014, works on the Sanlingshan Tunnel in Liaoning, 8.888 km (around 5 1/2 miles) in length, got underway. At present, HSR trains from Beijing to Shenyang, capital of the northeastern Chinese province of Liaoning, either reroute via Tianjin, or use a somewhat slower route direct from Beijing via Tangshan. Travel times take at present around 4 hours or so. The new HSR route will allow speeds up to 350 km/h (218 mph), nearly twice as fast as today’s speeds, cutting travel time down to 2 hours and 30 minutes. The new HSR line, RMB 124.5 billion in cost, runs for 709 km (443 miles) and passes through the suburban districts and counties of Shunyi, Huairou and Miyun in Beijing, the city of Chengde in Hebei, and the cities of Chaoyang and Fuxin in Liaoning, before arriving at Shenyang Railway Station. 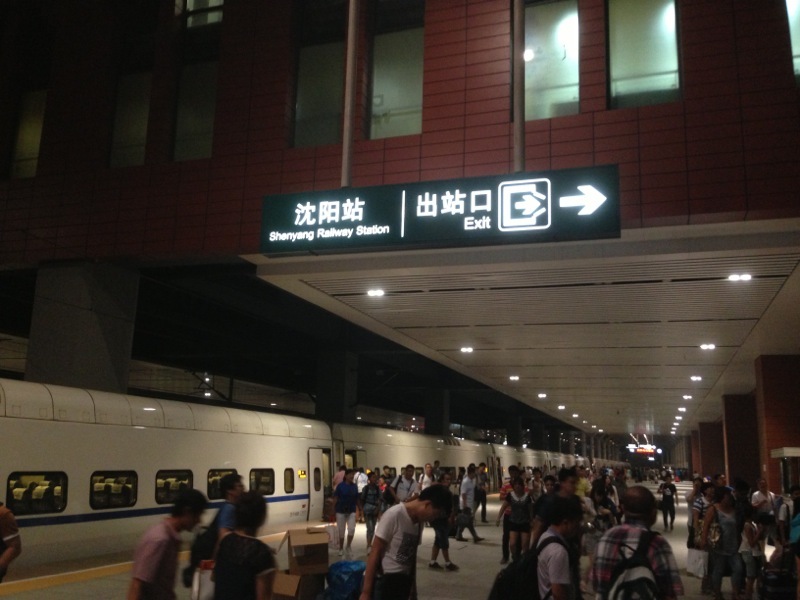 The Beijing terminus is split between Beijing Xinghuo Railway Station and a few services continuing onwards to the main Beijing Railway Station. Xinghuo station is also expected to be served by the future Beijing Subway Line 3. The future Beijing-Shenyang HSR will replace the current Beijing-Qinhuangdao Railway, Beijing-Tianjin Intercity Railway, and Tianjin-Qinhuangdao and Qinhuangdao-Shenyang HSRs as the new Beijing-Shenyang part of the Beijing-Harbin HSR.